A hacker has successfully changed the nameservers of the popular BitTorrent meta-search engine Torrentz.com. For a few hours the site was replaced with an Adbrite ad, and a link to a warez forum. To top it off, the hacker then contacted the Torrentz admin to brag about his hacking abilities. Last week we reported that Torrentz was facing a hostile domain takeover. With a forged driverвЂ™s license, the impostor attempted to change the domain Whois. Yesterday, the nameservers to Torrentz were indeed changed, giving the вЂhackerвЂ™ control over the Torrentz domain. Flippy, the admin of Torrentz told us that he noticed some worrying changes when he checked his website late last night. There were banners from Adbrite at the top and bottom of the site, banners that didnвЂ™t belong there. It turns out that вЂњthe hackerвЂќ we mentioned before, managed to change the nameservers of the torrentz.com domain. In the middle of the new page torrentz.eu was now loading in a frame, so the site was usable apart from the extra ads. The hacker didnвЂ™t stop there of course, and he soon changed the page to a single Adbrite banner. And as if that wasnвЂ™t enough, he decided to email Flippy, to tell him how good of a hacker he is. вЂњSo, I emailed him back, and informed him that I have a lawyer who will subpoena Adbrite first thing in the morning, to get the accountвЂ™s details,вЂќ Flippy told us. After some emails back and forth, the hacker suddenly changed his tone. After Flippy reminded him that forging a US driverвЂ™s license is a serious crime, he suddenly became surprisingly cooperative. Instead of bragging about his hacker skills, he was suddenly willing to change the nameservers back. At the time of publication, the domain details have indeed been reverted, and until the changes clear, torrentz.com is being redirected to the backup domain, torrentz.eu. It is not over yet though, as Flippy told us that he will do everything he can to find out the identity of the вЂhackerвЂ™, so stay tuned. Miller's win came on day two of the contest, which gradually eases the rules for what constitutes as qualifying exploit. Not a single attendee entered the contest on day one, when all vulnerabilities had to reside in the machine's operating system, drivers or network stack. Winners were eligible for a $20,000 prize. Foreign hackers infiltrated the networks of John McCain and Barack Obama during the US presidential campaign, according to reports. CNN and Newsweek cited sources within both camps as reporting that hackers from an undisclosed foreign location targeted each network over the summer in an attempt to acquire information. The report did not specify which group or nation was responsible for the attacks, but the target appears to be documents outlining the candidatesвЂ™ policy proposals. The information would reportedly have been used in future policy negotiations with the winning candidate. Following the attacks both camps reportedly hired outside consultants to seal up any security flaws, and the FBI and Secret Service are both said to be investigating the incidents. Hacking for political reasons has emerged in recent years as a companion to traditional espionage. In 2007, Chinese government officials were accused of hacking government sites in the US, France, Germany and the UK. Russian nationalists have also been thought to use cyber-attacks to supplement their political efforts. In the midst of conflicts with Estonia and Georgia, Russian hackers were said to be masterminding attacks on government and social infrastructure sites. An 18-year-old New Jersey man will plead guilty to the January online attacks that took down the Church of ScientologyвЂ™s Web site, federal prosecutors said Friday. Dmitriy Guzner of Verona, New Jersey, was part of an underground hacking group called Anonymous that has made the church a target of several attacks. He was charged Friday but has agreed to plead guilty sometime in the next few weeks, the U.S. Department of Justice said in a statement. He faces 10 years in prison on computer hacking charges. The attacks began Jan. 19 and managed to knock the Scientology.org Web site offline by hitting it with several bursts of unwanted Internet traffic. The attack, known as a distributed denial of service (DDOS) attack, flooded the site with as much as 220M bps of traffic, according to computer security firm Arbor Networks. ThatвЂ™s considered to be a decent-sized DDOS attack and was enough to disable the Web site temporarily. Anonymous quickly followed its attacks with a series of YouTube videos, claiming its actions were a response to what it said were efforts by the Church to suppress a video of movie star Tom Cruise professing his admiration for the religion. ItвЂ™s emerged thieves have been making fraudulent withdrawals from French president Nicolas SarkozyвЂ™s private bank account. The news was confirmed in the French weekly вЂњLe Journal du DimancheвЂќ, which says SarkozyвЂ™s office has confirmed that the president filed an official complaint last month. The thefts apparently concern sums of less than 200 euros a time. It appears the thieves managed to get hold of SarkozyвЂ™s account details. Such crime is not uncommon вЂ“ all that is needed are the bank details, name, and expiry date on the credit card in order to make fraudulent transactions over the internet. Thieves then carry out purchases for relatively small amounts, in the hope that the owner of the card will realise the fraud as late as possible. 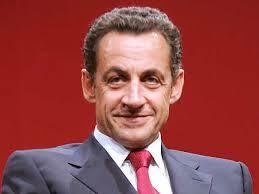 There was outcry last year when the French parliament decided to award their head of state a 100% payrise. The swindlers may have had access to his ВЈ13,243 (approx $26,000) a month salary. Criminal and financial fraud squads and a prosecutor in the Paris suburb of Nanterre were investigating the case. Hackers have broken in to the e-mail of the US Republican vice-presidential candidate, Alaska Governor Sarah Palin. The hackers, who targeted a personal Yahoo account, posted several messages and family photos from her inbox. The campaign of running mate John McCain condemned their action as вЂњa shocking invasion of the governorвЂ™s privacy and a violation of the lawвЂќ. The hacking comes amid questions about whether Mrs Palin used personal e-mail to conduct state business. According to law, all e-mails relating to the official business of government must be archived and not destroyed. However, personal e-mails can be deleted. Mrs Palin is currently under investigation in Alaska for alleged abuse of power while governor. A group called Anonymous has claimed responsibility for the hacking of Mrs PalinвЂ™s Yahoo e-mail. It posted five screenshots, two digital photos of Mrs PalinвЂ™s family and an address book to the whistle-blowing Wikileaks website. The information was taken from Ms PalinвЂ™s [email protected] e-mail account. Subsequent investigation has shown that the [email protected] account has been shut down along with another, [email protected], also owned by Mrs Palin. It is not clear yet what methods the hacking group used to access to the e-mail account. The screenshots posted by the hackers reveal that they carried out the attack via a so-called proxy service to hide their tracks and limit the chance that they would be traced. Earlier in 2008 the Anonymous group launched several online assaults against the Church of Scientology.